Present earlier in the month in Egyptian capital city of Cairo, only a short time to draw breath, the next stop on the busy itinerary for Jordan’s Mohamed Atoum was Thimphu; the capital of the small Asian country of Bhutan, situated on the eastern edge of the Himalayas. Supported by Olympic Solidarity and organised under the auspices of the ITTF Development Programme, proceedings commenced on Monday 26th December and concluded on Saturday 31st December. A total of 15 coaches from throughout the country attended, one notable student being Fumika Muria. She was present in Bhutan as a volunteer organised through the Japan International Co-operation Agency (JICA), an organisation which supports the efforts of developing countries. Notably she had attended an ITTF/PTT Level One Course conducted in Bhutan one year earlier in December 2015. The presence of Fumika Muria underlines the close relationship between Bhutan and Japan; prior to the course, alongside locals, seven players and two coaches from Japan were present to celebrate 30 years of co-operation. A Japanese influence, also three national team players, accompanied by Dala Thinley, the national team coach for over than 10 years, participated; the players are preparing to be future coaches. 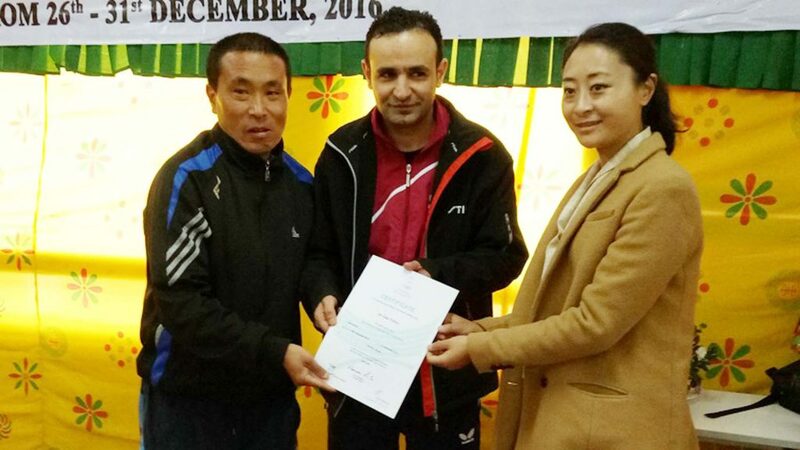 Significantly, they are studying sports science in various locations in Bhutan and will no doubt form an integral part of the national federation’s five year policy aimed at establishing a firm base from which the sport can grow. “I think it was a useful course for everybody, we learned advanced technical skills and for sure this will help improve the level of our players in Bhutan”, Dala Thinley. Throughout the course four table tennis tables, provided in 2015 under the Xiom Development Incentive Programme, were available in addition to hundreds of table tennis balls. Also, for practical sessions a theory room and white board were arranged. Quality equipment greatly assisted Mohamed Atoum, who conducted two sessions each day, the morning session from 9.00 am to 12.00 noon, the second in the afternoon from 2.00 pm to 5.00 pm. Furthermore, full hospitality was provided by the Bhutan Table Tennis Federation, three meals per day and suitable coffee breaks being organised. 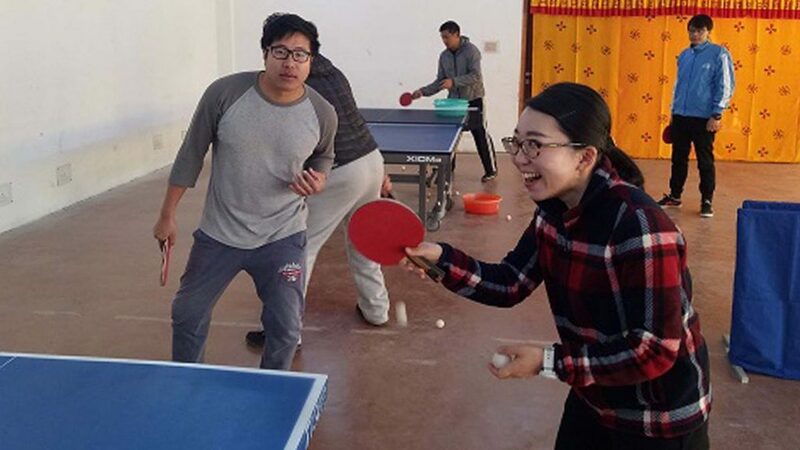 “During the morning and evening time the temperature was around minus two degrees Celcius but the active coaches made the temperature rise through their enthusiasm to learn more about table tennis. They were enthusiastic whether it was a practical or theory session”, Mohamed Atoum. Similarly, he gave words of great encouragement; he explained that the Bhutan Olympic Committee will co-operate with the Bhutan Table Tennis Federation and the National Sports Council to promote table tennis in every province in the country. Now for Mohamed Atoum a well-earned rest but only a short break; from Saturday 21st to Thursday 26th January, he is scheduled to conduct a West Asia Hopes Week in Oman.